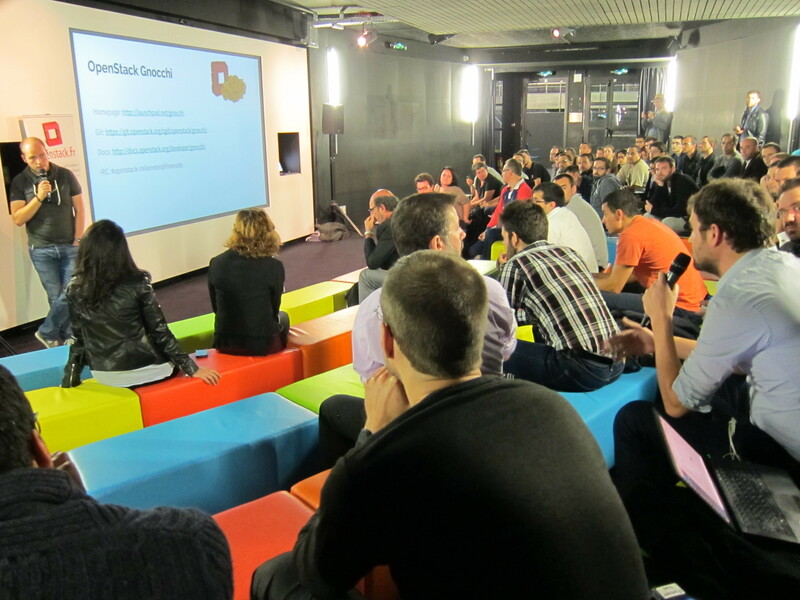 Last week, I've been invited to the OpenStack Paris meetup #16, whose subject was about metrics in OpenStack. Last time I spoke at this meetup was back in 2012, during the OpenStack Paris meetup #2. A very long time ago! I talked for half an hour about Gnocchi, the OpenStack project I've been running for 18 months now. I started by explaining the story behind the project and why we needed to build it. Ceilometer has an interesting history and had a curious roadmap these last year, and I summarized that briefly. Then I talk about how Gnocchi works and what it offers to users and operators. The slides where full of JSON, but I imagine it offered a interesting view of what the API looks like and how easy it is to operate. This also allowed me to emphasize how many use cases are actually really covered and solved, contrary to what Ceilometer did so far. The talk has been well received and I got a few interesting questions at the end.